Between the corporate holiday parties and seemingly endless family get-togethers, the holidays leave little time for actually preparing for the holidays. To spare you from battling the masses on the last-minute gift hunt for something, well, average, we’ve collaborated with a few of our all-time favorite interior designers to give you the coolest gift ideas for everyone, from your stylish best friend to your chic co-worker. Dwelling Collective asked these designers to share their top gift picks, and boy are they good. These gifts scream “I’ve been thinking about this all year”. Don’t worry, we’ll keep your secret. 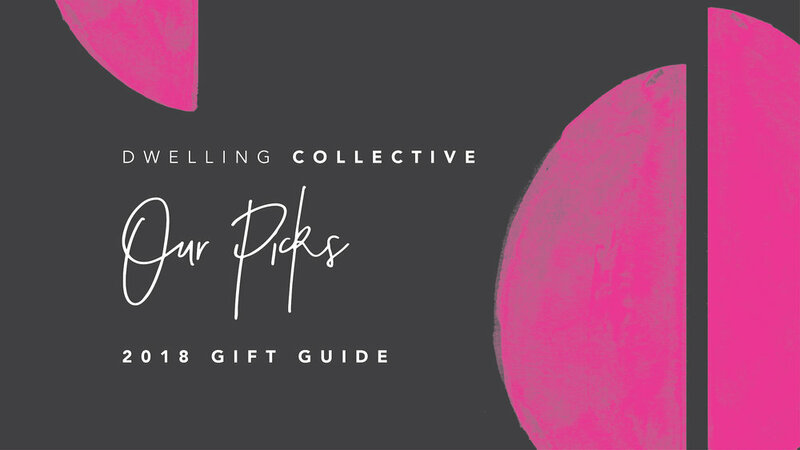 It’s here — Dwelling Collective’s 2018 Gift Guide. Each of these gifts were handpicked by our editors and are sure to impress everyone on your list. From your hard-to-please mother to your trendy bestie, we assure you, there’s a gift for everyone. Save yourself from hours reading online reviews to make sure your dollars are well-spent; we’ve already done that for you. We couldn’t let the holiday slide by without sharing what we’re buying. Read ahead to shop DC-approved gifts everyone on your list will want. “We've got this one burning in our office every day, and it's almost impossible for someone to walk in without asking what the amazing scent is." “This sleek toilet brush holder is perfect for a powder bath, and we’ve finally found one you won’t have to hide in the cabinet." “For your incense friends, because we know you have them. We aren't incense burners ourselves (more of candle gals over here), but we can guarantee we’d be on board if we had this minimal copper and wood holder." “The perfect gift for your cheeky best friend." "It's physically impossible to have too many woven baskets. At this price point, buy five." Shop curated gift guides for the most unique gifts by stylish designers Brady Tolbert, Amber Interiors, Tali Roth and Natalie Myers.